Hard drives are very important to the performance of a gaming computer. Having a hard drive with a small buffer size or none at all can cause slowdown and render some games even unplayable. We here at building-a-gaming-computer.com cannot stress the importance of having a good hard drive for your gaming computer. A gaming computer requires a hard drive with a high read/write speed to ensure optimum performance while playing the latest computer games. Thankfully, we have done our homework to break down the latest features and terms associated with modern hard drives. One of the most important features when shopping for a gaming computer hard drive is the spindle speed which is measured in revolutions per minute or RPM. This has a great effect on gaming performance because it is directly related to the latency. The latency is the time it takes the hard drive to access information and the lower the latency value, the faster the drive. You definitely want to minimize latency as much as possible and a hard drive with an RPM rating of 7200 or higher will do the job just fine. Storage capacity is also important if you plan on installing lots of games. For those who have a large music collection or like to store movies on their hard drive, you will want a hard drive with a large storage capacity, say 500 GB or larger. Thankfully, hard drive prices have dropped substantially over the years and purchasing a 500 GB hard drive is not very expensive as it once was. Another important feature of a hard drive is it's cache size. Hard drive manufacturers realized some time ago that users typically access the same information time and time again and as a result, they decided to store frequently used information, such as your favorite web pages or a word document being opened often, in a location that was very easy for the drive to access. This, in essence, is the hard drive's cache. The cache size is generally 16 or 32 MB and the higher the value, the more frequent user data can be stored. A good cache size for a gaming computer hard drive is at least 16 but preferably 32 MB. Computer hard drives come in two main interface styles, namely PATA and SATA. Earlier drives that use the IDE ribbon technology to send data to the CPU are the Parallel variety. This older technology is quickly being replaced by the newer (and more advanced) SATA style. There are numerous benefits to using the SATA style over the older PATA version. First, SATA technology does away with jumper configurations on the back of the drive. You no longer have to differentiate drives as being either "master," "slave," or even "cable select." All that is required is plugging a SATA data cable to the back of the SATA hard drive and then to the motherboard. Another benefit of SATA cables is that their connectors are "L" shaped, which means they cannot be oriented improperly to the back of the hard drive or to the motherboard. However, with the older PATA drives, it is possible to put the cable in upside down (although most IDE cables include a little notch on them to prevent this, it is still possible). Lastly, SATA technology adds the hot swappable function to it's devices, which means that SATA hard drives or optical drives can be unplugged while the computer is running. This feature was of extreme importance because it paved the way for using external hard drives. The external drives could be plugged in, have large amounts of data transferred to them, then unplugged all while leaving the computer running. The latest technology in storage devices are solid state drives (SSD). These differ from their magnetically read counterparts in that SSDs don't have any moving parts. As a result, solid state drives have lower latency and access times, are less susceptible to shock and don't produce any sound when accessing data. Unfortunately, the price difference between the older magnetic drives and solid state drives is quite substantial. 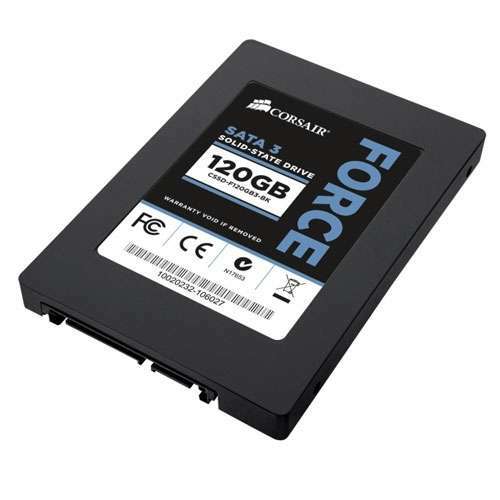 For example, an 80 GB Corsair SSD currently retails for $184.99 on www.TigerDirect.com whereas a magnetic 500 GB Western Digital SATA drive has a price of only $58.99. If you are on a budget, I would recommend the older style magnetic drives for the time being. SSD's continue to drop in price and are becoming much more affordable. The magnetic drives are still excellent for gaming and can save you quite a bit of money. However, if you have the extra cash to spend, go ahead and get a solid state drive, you won't regret it. They are the future in storage devices and will ultimately fully replace the older magnetic drives in due time. Lost data caused by hard drive failure can be extremely frustrating. For this reason some people choose to set up a RAID (Redundant Array of Independent Disks) to ensure that data is not lost in lieu of a hard drive failure. Essentially a RAID is taking two hard drives and setting them up to receive the same data on both drives when information is saved. If one of the hard drives fail, you can still access all the information from the other drive. It is an excellent form of data security and peace of mind. For further information, see the RAID setup guide. Of course in order to be useful, a hard drive needs to be formatted with an Operating System. There is no need to worry, formatting a hard drive couldn't be easier. Please see our Hard Drive Formatting guide for more details. A hard drive plays an important role in the gaming computer. Having an outdated hard drive can really detract from the computer's performance. Be sure to take the key features mentioned earlier into account as you shop for the perfect hard drive for your gaming computer build. For a great selection on hard drives at low prices, check out www.TigerDirect.com.